As I sit here, waiting for my best friend to arrive, I flip through the channels on TV and come across the movie “Julie & Julia”, where a woman dedicates one year to complete every recipe in Julia Child’s cookbook “Mastering the Art of French Cooking”. It has been a while since I’ve had a fun project for myself with work, school and personal life getting in the way. New Year’s seems to be the time when people decide to better themselves, whether it’s losing weight, getting more active, or taking the time to spend with loved ones. Even though we are almost a month into 2015, why not start now. With the inspiration of the movie, I’ve decided to do the same, I will choose a chef and cookbook, one that most likely will not have over 500 different recipes, and commit to make every recipe in that cookbook. I have many favourite chefs, and choosing just one is difficult. I could choose a great Canadian chef to keep to my roots or a chef from a completely different ethnic origin, but I do know that whoever I choose, it will be someone who will keep me engaged throughout this project. I will also need to pick a cookbook from which I have never used, therefore I will truly cook every recipe for the first time. I am leaning towards either Chef Gordon Ramsey or Jamie Oliver. Gordon Ramsey is extremely entertaining to watch. If you’ve never watched Hell’s Kitchen, I strongly recommend you do so. Some may say he’s an a**hole for yelling and treating the contestants like garbage, but let’s be honest: If you are competing for an Executive Chef position at one of his restaurants, you better know how to make risotto and properly cook scallops! I’ve watched his cooking shows teaching his audience how simple ingredients can make a remarkable meal. 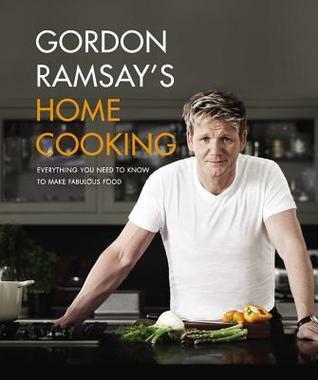 He shows you how simple cooking can be, and that you don’t need to be a Michelin Star chef to make good food. 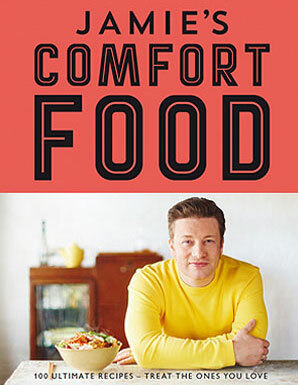 Jamie Oliver has my respect with his Food Revolution in the United States school system. His passion to educate Americans on healthier eating, and bringing in healthier meals to schools is inspiring. His 30 minute meals are fantastic. We are all busy, and his methods teach us average busy people how cooking doesn’t have to be a chore, it can be fun and, in the end, satisfying. My only concern for either of them is that some ingredients may be difficult to find, therefore I may have to do some substitutions. So I’m left with a decision to make… Gordon Ramsey or Jamie Oliver? I have one week to make my decision and come next Sunday, I will post my very first recipe. Well….here goes nothing!